When you think about web videos you immediately think visually. However, there is another, equally important element to the success of the video, and that’s how it sounds. It may be that a viewer won’t notice good sound, but they will certainly notice when it’s bad. So it doesn’t matter how slick the video looks… if you can’t hear what is said, then the message is lost. Being in front of a camera – even for something like a company promotional video – can be a challenge for many people, who feel nervous, shy or uncomfortable. And in those circumstances they are likely to lower their voice, or mumble their words. So, a simple one to start, but make sure the environment for the filming is comfortable, and the interview subject is relaxed. Allow them the time to gather their thoughts, and then it’s likely they will vocalise those thoughts more smoothly. And if they do fluff their words, simply ask them to go again. Better that than a stuttering interview subject. Again, this is to do with environment. When you are looking to film an interview, scout out a location that is free – or at least as free as it can be – from ambient noise. Perhaps try to find a room you can use exclusively, that you know you have full use of and where you won’t be disturbed. If you film in a public space such as a pub, or even your own business premises, you won’t be able to control the background noise. 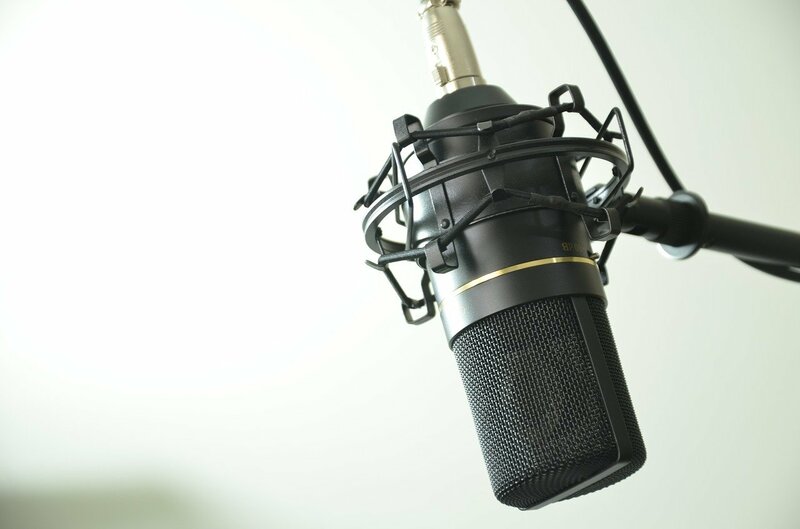 As a consequence, your viewer may find it difficult to distinguish between that background sound, and what your interview subject is saying in the foreground. For professional results, think about where you place the mic. Most digital SLR camera will have built in mics, but these mics are not usually sufficient for filming videos for professional use. Instead, you will either use an external mic that clips onto the top of the camera, or in interview situations, you may have clip-on mics that you can fix to the shirt of the person interviewed. One up from that is a boom mic, that you will actually float above your interview subject using a boom pole but this is usually only common in professional scenarios with bigger budgets. If you are really invested in making video and are looking to buy equipment to use on an on-going basis, rather than hiring in kit, or a video team, you should be thinking about buying a good mic. At times much of the thinking – and the budget – goes towards the camera, but as per point 4, the camera’s own mic will pick up background noise as much as an interview. So think about an external mic, or clip-on mic set-up, and look forward to producing videos with professional quality sound. Finally, think about the set-up of the sound in as much detail as the set-up of the shot itself. The more you test levels – for instance by asking your interview subject what they had for breakfast (always a popular one!) – the more you can adjust the levels for the volume of their voice. You can also record a test track, to listen back for the levels of background noise. If you want to get a message across, perhaps to your customers, bear in mind that 80% of what they will take in will come from the audio, not the visual. So before the filming takes place, take on board these points and make sure the finished product not only looks great… but sounds great too!